If you haven’t heard of Evernote, do yourself a favor and watch our “What Does This Button Do?” show, episode #54. We give an introduction to Evernote starting at 06:49 into the show. 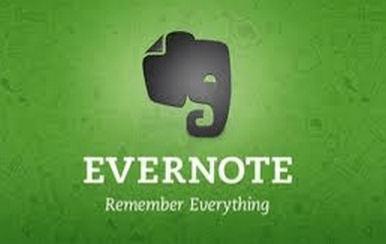 Evernote is our Go To place to enter any kind of information we want to keep, remember, find later. That includes a simple note about something you just heard, a snapshot of an eye exam and prescription, a copy of a webpage you want to read later, a snapshot of a receipt, and many many more. When you have an Evernote account, you can create notes by opening Evernote on your computer or on your smartphone or tablet. This article is about the fact that your Evernote account comes with a special email address. Email something to that address and it gets filed in your Evernote account. I use this to save important emails out of my inbox. So, for example, if I receive an email with important information about documents my accountant needs for my taxes, I might forward that email to my Evernote account. I do the same with any and all documents important to my taxes and then, when it comes time to prepare them – all I need is access to my Evernote account. If I have the opportunity to edit the subject line of the forwarding email, I can add @taxes to automatically file it in the “Taxes” notebook in Evernote. During our streaming Evernote lesson, a viewer – Marie MacDonald – left a comment about how she uses her Evernote email address as a way to subscribe to newsletters! What a GREAT idea! That bypasses your email inbox completely. Whatever arrives in Evernote via email is stored in your default notebook, but you can set up a Notebook for newsletters and move notes there later. To find your special Evernote email address just go to the menu and choose Settings and Account Info. You will see an entry for Evernote Email and it will look something like yourname.74363h2@m.evernote.com. Anything sent to that email will show up in your default notebook in Evernote. You can move them later. The video above comes directly from Evernote and it also shows how, using Gmail, you could make a rule to automatically forward messages to your Evernote account. As an Evernote Basic (Free) customer, can I save emails into Evernote? Saving emails into Evernote became a paid feature on July 15, 2015. Evernote Basic customers can try this feature by saving up to five emails into Evernote before upgrading to Evernote Plus or Premium. For more info on features and pricing see the Evernote Pricing Page. If you don’t already have Evernote, you can set up a free account by using this LINK – Geeks on Tour will get points and you will get one month free trial of Evernote Premium. Published by MrsGeek, in Blog. Tagged with #GeeksWhoTeach, #WDTBD, Android, Droid, Email, Evernote, Geeks on Tour, iPad, iPhone, Smartphones, Tutorial Video.